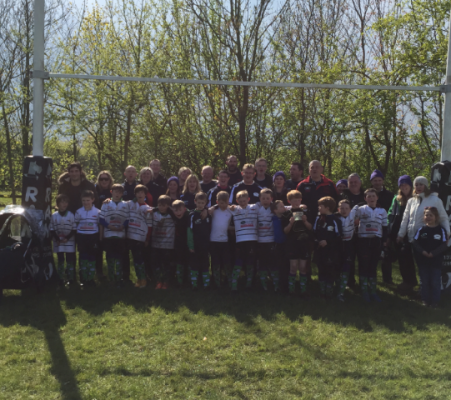 The Under 9’s travelled on tour to the North East in impressive numbers with 15 boys are making the trip and all experiencing a very memorable weekend. 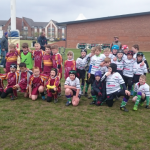 Upon arrival at Middlesbrough Rugby Club on the Saturday, the boys had some time to run off the excitement that had built from the long coach journey before playing a game. We then played three highly competitive 10 minute games against a spritely Middlesbrough team, who were quicker out of the blocks than the Preston lads. Overall we won one game and narrowly lost the other two. On the Sunday, with the long coach journey to Darlington Rugby club successfully traversed (about 2 minutes from the hotel), we arrived to a heavy downpour. Thankfully the conditions improved quickly and by the time the games started the rain had eased and the boys were more than ready to play Rugby. 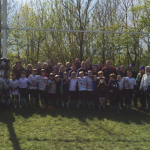 First game up was against Sunderland, with our boys taking their usual slow start to festival rugby and also playing uphill on what has definitely been the most tilted pitch we have ever played on, we finished up narrowly losing 3-2. 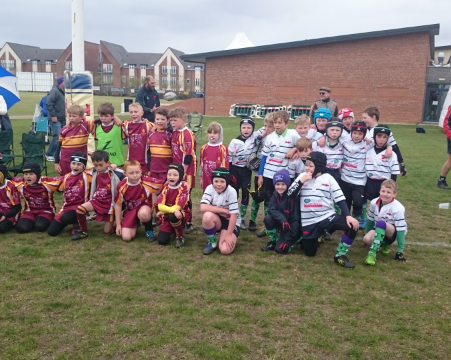 Our second game up was against Billingham, and with the decision having been made at this point to have a half-time switch round, to even up both teams having to run up hill, our boys seemed to come alive. Our boys came out 7-0 victors in this game, in what was simply the most pleasurable game of rugby to watch in the whole season. The boys seemed to suddenly click together as a team and everything we as coaches had been asking of them all year suddenly seemed to sink in. The boys defended as a team, offering support when needed and trusting in each other to make the tackles. In attack, the boys stuck to their game plan and when the time came to play expansively, the support runners were always there and no opportunity was missed.